Ford recalls 4,350 vehicles with instrument clusters that may go blank. 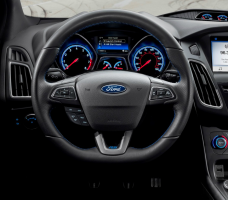 February 14, 2019 — Ford is recalling about 4,350 vehicles because the instrument panel cluster assemblies may go blank when the vehicles are started. The 2019 Ford Mustang, Lincoln Nautilus and Lincoln Navigator vehicles need their instrument panel cluster software updated. Ford didn't provide details concerning what caused the problem, how it was discovered, etc. But no crashes or injuries have been reported from the instrument panels going blank. About 4,200 recalled vehicles are in the U.S. and about 150 are in Canada. According to Ford, the 2019 Ford Mustangs were manufactured November 5, 2018, to January 15, 2019, the Lincoln Nautilus SUVs were produced November 6, 2018, to December 21, 2018, and the Lincoln Navigators were built November 4, 2018, to December 15, 2018. If you own a 2019 Ford Mustang, Lincoln Nautilus or Lincoln Navigator, feel free to call the automaker at 800-521-4140. CarComplaints.com has owner-reported complaints about the Ford Mustang, Lincoln Nautilus and Lincoln Navigator.